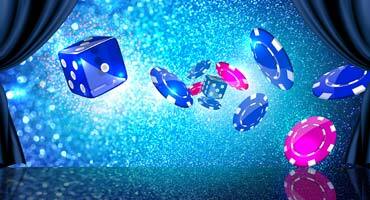 The popularity of poker has spiralled owing to television coverage of poker tournaments and online casinos which are advertised aggressively on the internet. In the United States of America, during the days of the Wild West, poker was played with a 20 card pack. Today, poker is played with the standard 52 card deck of cards. There are many different versions of poker including 3-card poker which was introduced in the United Kingdom casinos in the mid 1990s. Then, there is 5-card stud poker which is an easier version of the game to learn. But, 7-card poker is rapidly growing in popularity. Finally, there is Texas Hold’em poker for the veterans and the seasoned pros who have the ability to play the ‘bluff’ with a ‘poker face’. The dealer distributes cards face down from a well shuffled deck. 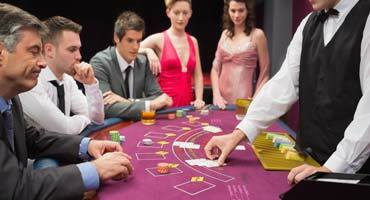 The distribution starts from the person to the immediate left of the dealer. 5 cards are dealt in this manner to each player. The number of players could range from 2 to 10. After the cards have been dealt, the players look at their cards and then play against each other until only one player remains. All the other players lose their stakes. In all the versions of poker, the ranking of the hands is the same. Sample poker payout odds are listed below.